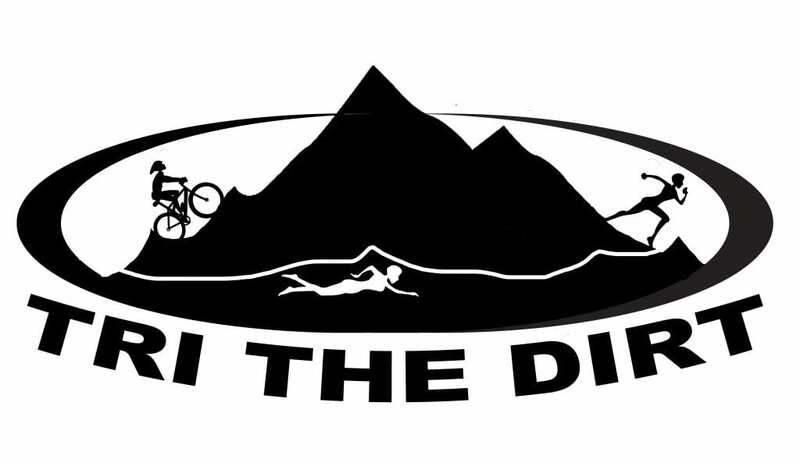 After 22 years of racing mountain bikes, road racing, triathlon and XTERRA/offroad triathlon (or cross tri which is the multisport description), I am super excited to offer my first triathlon training camp dedicated to the off road discipline. 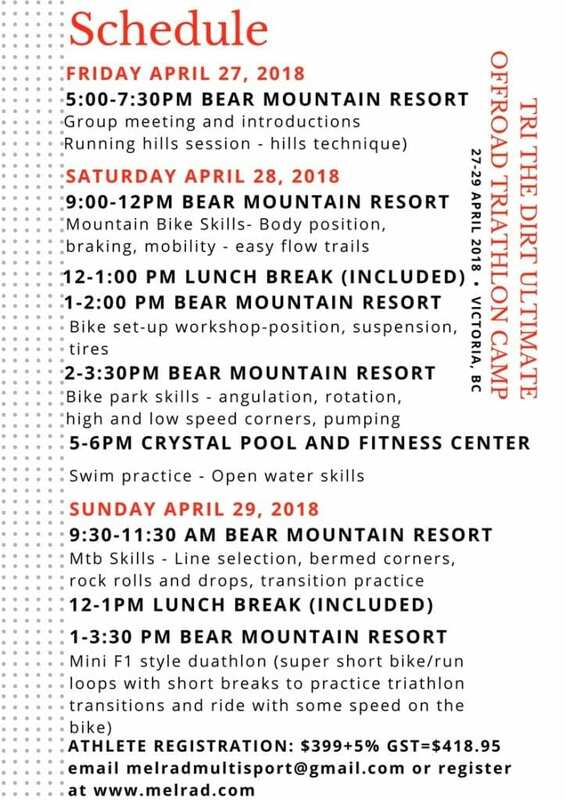 I am drawing from my experience as former Canadian National team cross country mountain bike racer, XTERRA pro with over 50 professional victories including five World titles, and six time Ironman 70.3 Champion to bring you TRI THE DIRT – the ULTIMATE OFFROAD TRIATHLON CAMP. 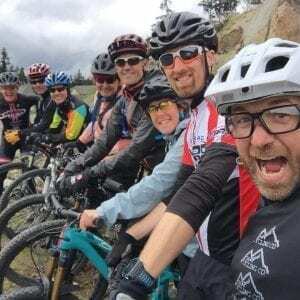 I am excited to partner with former pro mountain bike athlete and master technical skills coach Adam Walker of The Cycling Co to offer hands-on mountain bike skills coaching which really sets this event apart from any other triathlon camp in the world. The camp is suitable for ALL LEVELS. 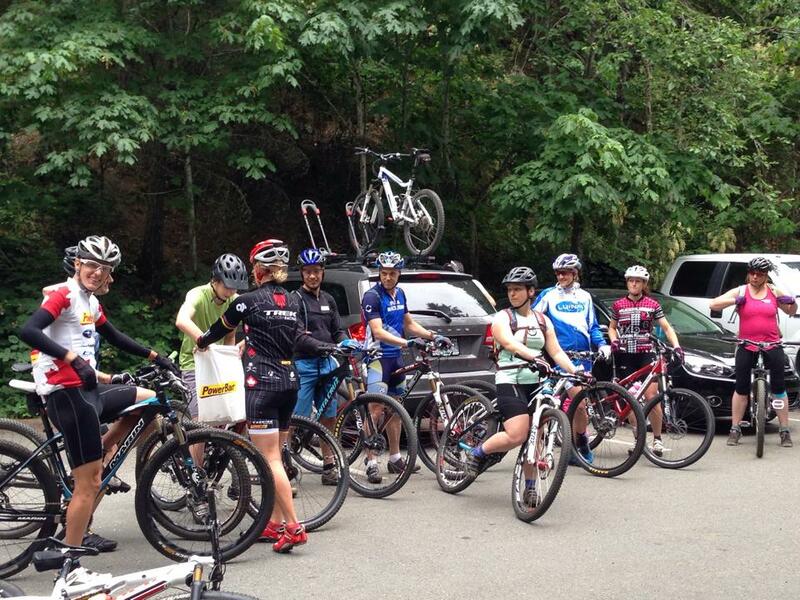 TRI THE DIRT is your opportunity to improve by teaching you when you are comfortable, confident, and relaxed! Early bird camp fees are $399 plus GST —> $418.95. There is an athlete LIMIT! Refunds up to two weeks in advance but you can transfer your registration to someone else if you can’t make it. First signed up gets the spots and once we are sold out.. that is it. Sign up follows along with the itinerary for the camp. Athletes need Tri BC memberships on that weekend and can sign up for membership through MelRad racing (with a $5 discount cha-ching!). Athletes not from BC – details on how to buy a two day event membership is available.